You are here: Home / frontpage / Welcome to the OpenSimulator Community Conference 2017! Join us for the fifth annual OpenSimulator Community Conference 2017 today at 7 AM PST (-8 UTC) on the OSCC Grid! Follow @opensimcc on Twitter and use the hashtags #oscc or #oscc17, and post your pictures and snapshots of the day on our Flickr group. 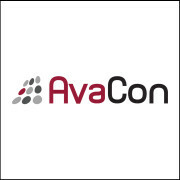 We have an exciting program lined up, with great keynote presentations, breakout sessions, social events, and plenty of Expo regions to explore over the next two days! Don’t miss the Keynote sessions, including the OpenSimulator Developer Panel on Saturday morning, along with dynamic short presentations and panels that take place Saturday, December 9th and Sunday, December 10th within our OSCC Keynote regions. The schedule also includes community and social events, and plenty of Expo regions to explore over the weekend! Don’t miss the special HyperGrid Tour on Sunday at 11 AM PDT, and the many how to’s, resources, and scavenger hunt landmarks to interesting destinations where you can learn to HyperGrid visit throughout the OpenSimulator metaverse. There is also the chance to attend live music at the virtual venue of Maritime Club Belfast, and many after parties and simulation tours. If you requested a new local account be created for the OSCC Conference Grid, you should have received an email with the login details. See the Login Info page for instructions on how to download an OpenSimulator viewer and more information about how to connect to the grid. If you have a Local Account and have forgotten your password, use the Forgot Your Password link to reset it. For the best experience, make sure to enable Streaming Media & Music, and turn on AUTOPLAY for Parcel and Prim media. We also recommend turning your Draw Distance settings down to a reasonable level. The lower your Draw Distance, the better your viewer performance will be. See the FAQs for more information. We also have some additional tips for those who might have trouble viewing some video and streaming media in world. 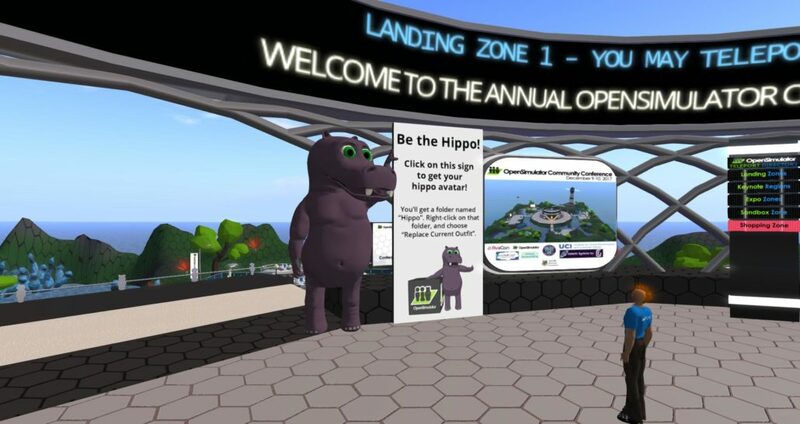 Visit OSCC Expo Zone 2 for the HyperGrid Tour & Resources section of the conference. There you will find step by step help on how to HyperGrid if you aren’t familiar with jumping from one OpenSImulator grid to another grid world, as well as helpful website links, and a curated collection of HyperGrid landmarks for those more experienced to explore the interconnected OpenSimulator metaverse. OSCC17 will also feature a special HyperGrid Tour organized by Thirza Ember, that will take attendees on a tour of several OpenSimulator grid location that offer up amazing creations and experiences. This two-hour OSCC HyperGrid tour starts at 11 AM Pacific, on Sunday, December 10th, and is not to be missed if you want a fun, guided way of learning to HyperGrid. A tremendous thank you to all of our speakers, sponsors, crowdfunders, volunteer staff, streaming team, and attendees! We hope you enjoy the conference program and we’ll look forward to seeing you in-world or on the web today! And the many #OSCC17 Crowdfunders and Volunteers that made this possible.